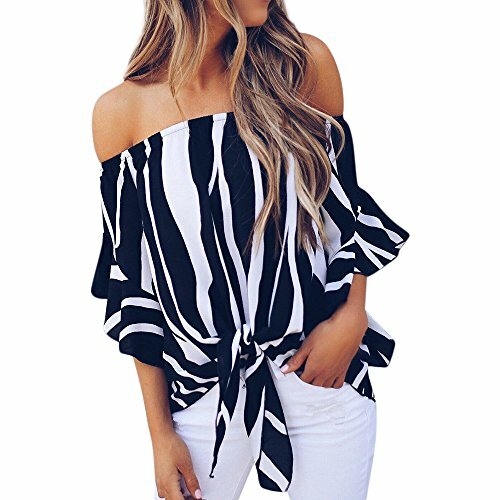 Women Fashion Ladies Casual Blouse Tops As Low As 20 Cents!!! WOW! Size Chart(Unit:cm/inch) Size:SBust:95cm/37.4"Length:62cm/24.4" Size:MBust:100cm/39.4"Length:63cm/24.8" Size:LBust:105cm/41.3"Length:64cm/25.2" Size:XLBust:110cm/43.3"Length:65cm/25.6" Size:XXLBust:115cm/42.3"Length:66cm/26.0" Note: -Please allow 1-2cm measuring deviation due to manual measurement. - Please check the Size Chart before order. If you are not sure the size, please send message to us.